The family room was also really cramped by the half-wall. One of our bookshelves covered a window and the toy bins blocked part of the sliding glass door. 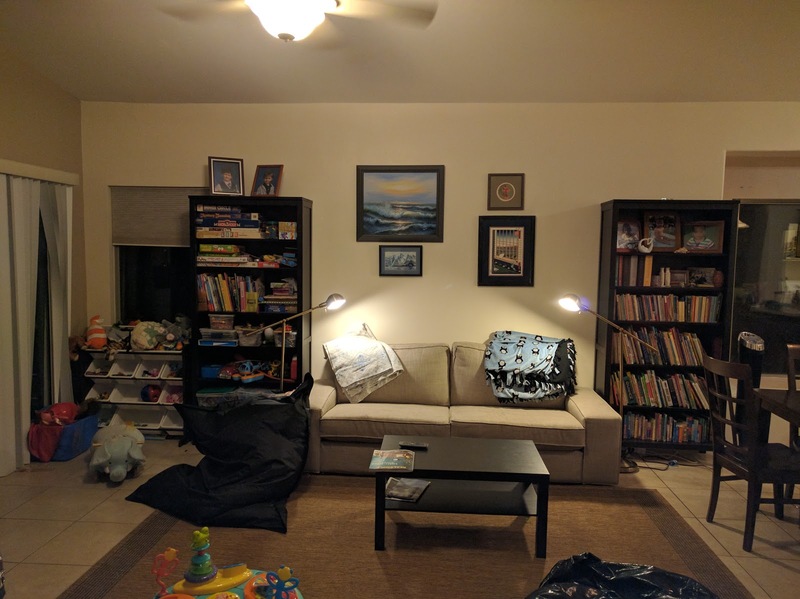 One of the reasons we chose this house was because it would give the kids room to play and that just wasn't happening the way we wanted it to. 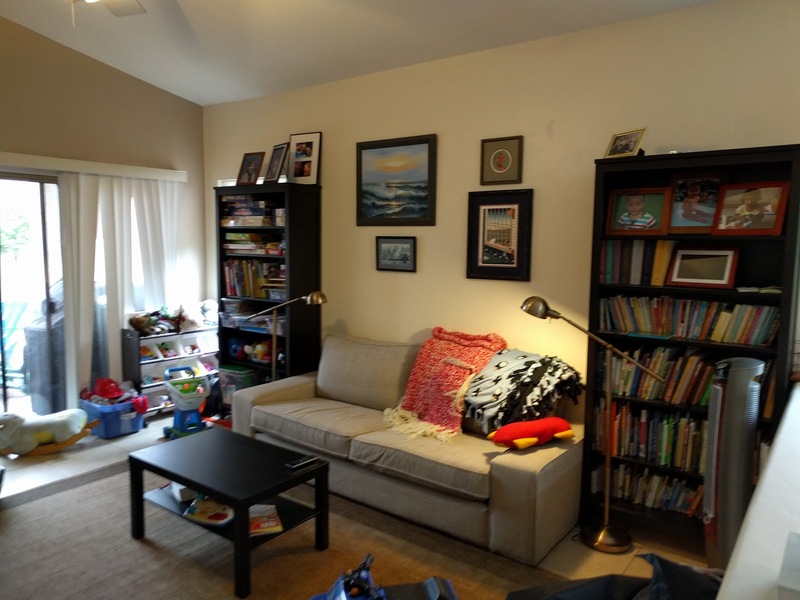 While it was nice to have something that defined the family room (and helped contain the kid's toys), the wall took up a lot of floor space and made cleaning the dining area a challenge. We had that wall removed and we also had the door to the laundry room replaced with a pocket door. We used Acra Construction, a local company for the work and are really happy with the quality of the work. 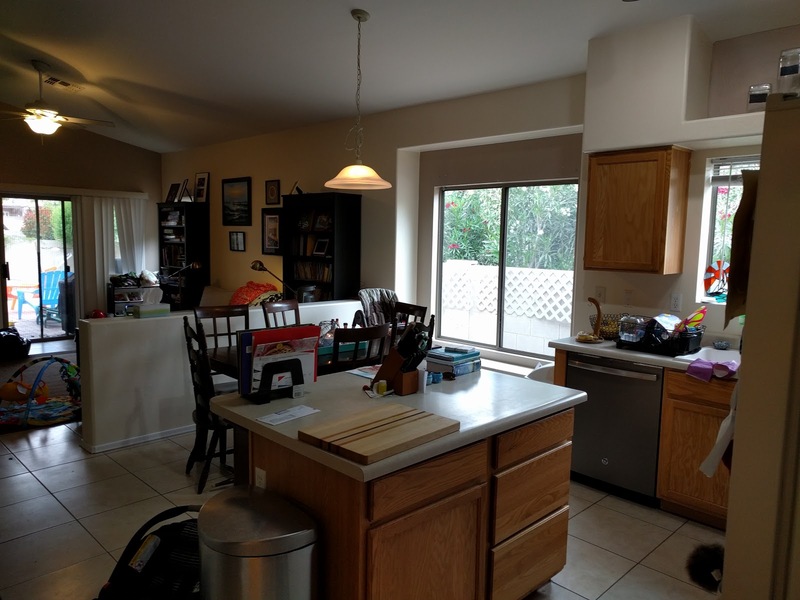 I wasn't able to get great before pictures (although you can see the evolution of the dining room/family room in these posts (here and here) but you can see how spacious and open the family room and dining area are now. 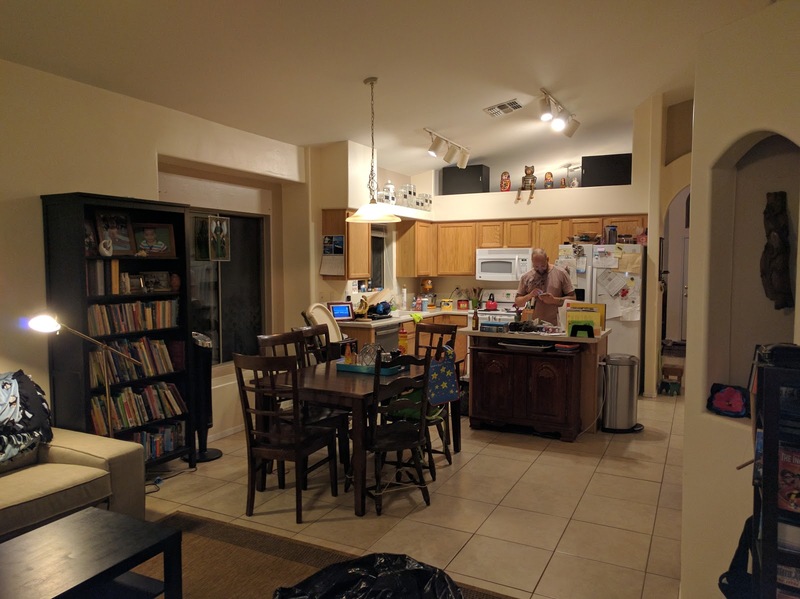 The kids have a lot more room to play, there's more room for the dining table and it's really easy to clean under it now. We have more room to walk and having this little bit of work done has given us a better idea of the scope of work we want to have on our future projects. Have you had any remodeling work done on your house? How did it go? Any tips for us beginners?